Few family members are harder to buy for than a fickle teenager. 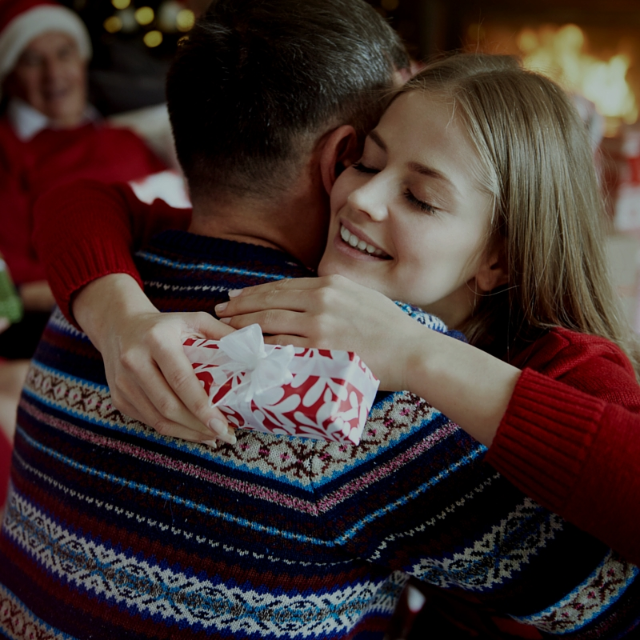 With tastes that constantly change and opinions that are strong, it can be difficult to find the perfect gift for your teen. But with this teen gift guide, you can take the stress out of shopping and find the perfect present that any teenager will love. Create an extra special gift by personalizing it to match your child’s unique personality and tastes. With online shops and tools, personalizing gifts has never been easier or cheaper. Jewelry — Engrave a necklace, bracelet, or charm with your child’s initials or personalized message. Or take it up a notch and get a full cut-out charm of their name from a site like PB Teen.com. Decor for Their Room — Help your teen decorate their favorite space in the house — their room, with custom art. Sites like Minted.com can turn your teen’s silhouette, drawings, photos, or names into a beautiful, unique works of art. For many parents, it’s difficult to get one-on-one, quality time with their teens. Between the parent’s and the teen’s busy schedule, it’s unusual to spend an entire day together. So, plan one. A Ticket or Pass — Give your teen a ticket to an event or experience they would love to try. From a sporting event to spa day or concert, find an event that matches your teen’s interests. Then plan a day around the event. Luggage — Make the trip extra special by planning an overnight stay and gift your teen their first set of travel tools so they can use the gift right away. An Experience They’ll Never Forget — The best part of this gift is that you end up with memories that are more important than presents. Many teens are already attached to their smartphones, so give them a gift that upgrades their phone’s capabilities. Uncommongoods.com has a variety of fun smartphone tools and add-ons. DIY Smartphone Projector — Turn your teen’s phone into a mini movie projector with this kit that displays videos and photos on the wall. Smartphone Instant Photo Lab — Go retro with a printer that takes photos from your teen’s phone and turns them into classic-styled instant photos. Bluetooth Tracking Tap — If you have a teen who is always misplacing their smartphone, gift them this Bluetooth tracking device that will help them keep track of their phone during their busy life. If your teen doesn’t already have a smartphone, maybe this is the year to upgrade and give them one of their own. Your teen will love you for it, and you will be able to install and use MamaBear, The Ultimate Parenting App™. The app which is available for iPhone and Android devices features GPS location services and social media monitoring so you can easily stay connected with your active teen, making both of your lives easier. As the holidays approach, we’d like to wish you and your family a happy and safe holiday and wonderful new year! In a new CNN study, “#Being13: Inside the Secret World of Teens,” child development experts studied the habits of over 200 eighth graders from around the country. Experts watched how teens used Instagram, Twitter, and Facebook in order to understand how and why teens use social media. The study revealed just how connected teens are to social media and how disconnected they are with the world around them. It found that teens check social media accounts up to 100 times per day to see if anyone liked their posts or left comments (61%), see what their friends were up to (36%), and make sure no one was saying negative things about them (21%). Teens are becoming addicted to social media because they love the affirmation they receive when their posts are well received, and because they are worried about how they are being seen in the social world. To teens, their social media world is as important as the real world, and they are struggling more and more with seeing the difference.